You might think that you would know what to do in an emergency, but would you really be able to keep your cool and apply your first aid knowledge effectively? 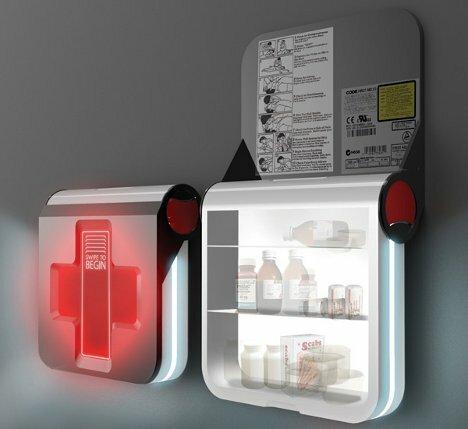 The First Aid 2.0 design takes the guesswork out of emergency situations and could help save lives. 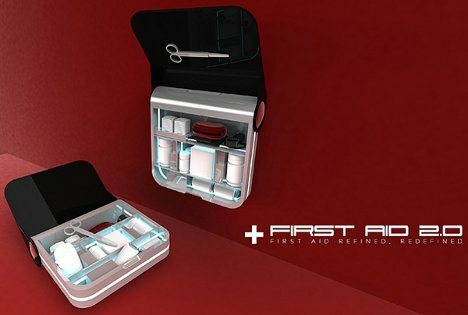 The traditional first aid kit is just a box full of useful items that come in handy in case of emergency. 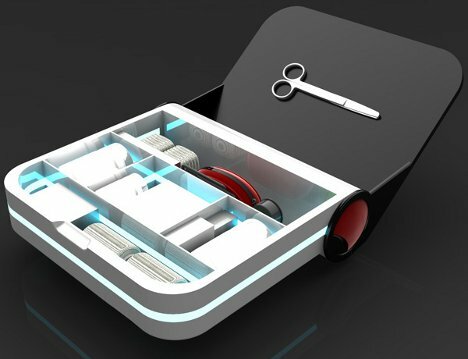 First Aid 2.0 takes the concept a bit further and incorporates the box into its design. 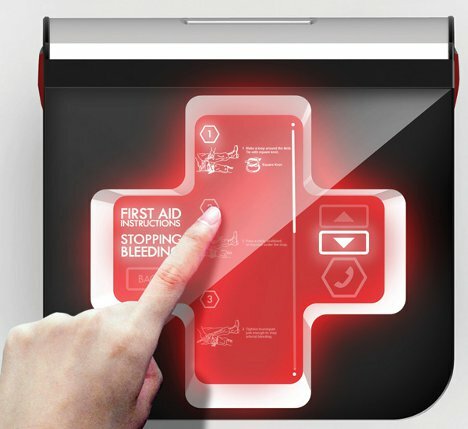 The front of the box is an LED screen that displays step-by-step first aid instructions depending on the type of injury being patched up. 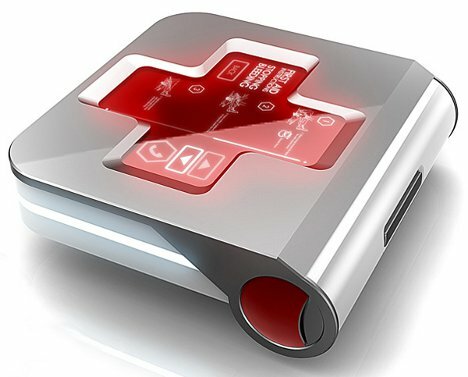 The case also contains a GPS tracker; in the event that someone needs to get to a hospital quickly, the screen will display directions to the nearest one. While not in use, the kit would be plugged in to a wall outlet. If the power should fail, the kit can stay in standby mode for up to 6 months or in active mode for up to 24 hours before needing a recharge. This upgrade to an everyday item is well within the reach of modern technology, so we have to wonder why it hasn’t been done before. The designer, Pow Ying Hern, won a 2011 Red Dot Design Concept award for the innovative, forward-thinking idea.